When was the last time people got all fired up about a tractor trailer? I’m referring, of course, to the headline-grabbing rollout in mid-November of Tesla’s semi-autonomous, electric tractor trailer. Even though the Tesla truck won’t be on the road (commercially speaking) for at least two years, Walmart, DHL and J.B. Hunt already have pre-ordered it as part of emissions reductions strategies for their logistics networks. Part of their motivation is certainly compliance-related, as countries put the squeeze on diesel-related air pollution. The U.S. Environmental Protection Agency recently penalized Walmart $400,000 for failing to upgrade its diesel trucks in California quickly enough to cut back on black carbon and fine particular matter. But the Tesla launch is just one in a series of developments likely to play a role in defining the future of mobility, not just the fleets of trucks and vans central to delivering goods to both homes and businesses but also the squadrons of taxis and buses transporting people around cities and metropolitan regions. The pace of technology innovation is accelerating, with proclamations about AVs, electric vehicles and alternative approaches to ride-sharing services emerging on an almost daily basis. Both industry groups and transportation officials want to be in the drivers’ seat when it comes to deciding what is adopted, and how. The consortium was brought together by Robin Chase, co-founder of car-sharing company Zipcar, who was concerned mayors and transportation officials weren’t paying close enough attention to the disruptive impact of technology such as ridesharing and autonomous vehicles on public transit. The idea was born about a year and a half ago, she told GreenBiz. It’s the last principle on the list, however, that is likely to be the most controversial for automakers: “We support that autonomous vehicles in dense urban areas should be operating only in shared fleets.” That particular guideline also suggests that it is also “critical” that AVs are “zero emission.” The rationales come down to affordable access, public safety and emissions benefits, according to the principle. Chase, who has begun to engage with big transportation companies, said all of the principles are meant to be challenging to the status quo. “I feel that right now, my personal best purpose is making sure that we are going into the future of share and autonomous vehicles prepared to end up in a better place than we are now,” she said. Another initiative seeking to stay ahead of regulations — by recommending the shape they should take — is the “50 by 50” Commission, a group created by the Alliance to Save Energy that brings together interested actors from the transportation sector, the world of power, federal agencies, environmental and consumer NGOs, utilities and cities. The diverse participants range from vehicle companies such as Audi of America and General Motors, to energy companies such as National Grid and WGL, to the mayors of Pittsburgh and Fort Worth, Texas. The way in which vehicles are powered and how they’re driven is evolving. We’re at an inflection point. The commission is actually seeking to get ahead of policy in five technical areas that will directly impact the future make up of corporate and civic fleets: light-duty vehicles, non-road transport (such as equipment in ports or airports), heavy-duty and freight vehicles, enabling infrastructure for fuels, and shared mobility services. The hope is to release recommendations by the end of 2018, so that it can engage public dialogue and action on them. Dean Seavers, U.S. president of National Grid, which envisions a deepening role as part of electric vehicle charging infrastructure, told GreenBiz that it’s in the transportation sector’s interest to force these discussions proactively. “We need to get the best ideas on the table,” he said. The future makeup of corporate fleets — from delivery van to service trucks to everything in between — will be a thread that weaves its way through most of the sub-committees. It isn’t just a matter of transitioning to more efficient fuels or electrifying vehicles where it makes sense, Seavers said. The group also will study new models of ownership and shared usage that borrow ideas the way that ridesharing services have diversified, he said. An example to keep in mind for inspiration: UberEATS, which turns drivers into food delivery people when human fares are scarce. Work toward prioritizing more shared services and transportation schemes is gaining more momentum at the state and local level across the United States. In early November, a coalition of Northeast and Mid-Atlantic states got more serious about collaborating on a regional transportation initiative that they hope will help reduce carbon emissions by 29 percent to 40 percent between now and 2030. The participants — Connecticut, Delaware, Washington, D.C., Maryland, Massachusetts, New York, Rhode Island and Vermont — are meeting with communications and businesses to solicit ideas. The idea is to coordinate investments in modernizing infrastructure, supporting the region’s transition to zero-emissions vehicles and reducing carbon emissions. It’s worth noting that most of these states are part of the Regional Greenhouse Gas Initiative, which partially explains New Jersey’s absence from the collaboration. New Hampshire, which is part of the RGGI, is also conspicuously absent. Certainly, it will take years for any of these technologies to become mainstream, because the “upgrade” cycle for vehicles isn’t insignificant. But the time for planning is now. Take electric trucks: The Tesla introduction is likely to spur interest in the growing fleet of companies that are selling electric delivery vans and trucks of various shapes and sizes. 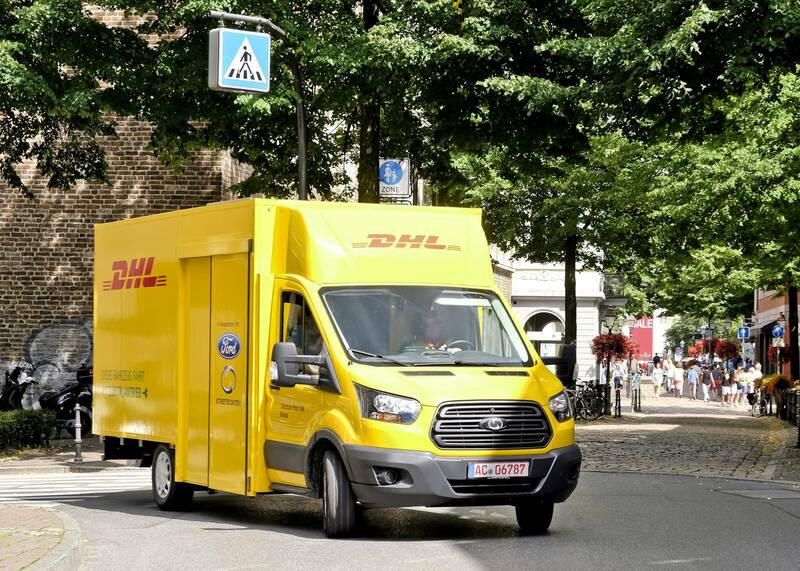 Among them: DHL, working closely with Ford, is selling models that it designed for its own operations to other companies; and Workhorse, prepping a big launch for its next-gen delivery van at next month’s Consumer Electronics Show. UPS is also investing substantially in alternative fuels, and it’s even funding a conversion project that could see up to 1,500 existing diesel vehicles switched over to electric drive trains. Roughly 125,500 electric trucks and vans will be on the road by the end of this year, according to projections by Navigant Research. But volumes could reach 1.66 million within a decade, the firm estimated. 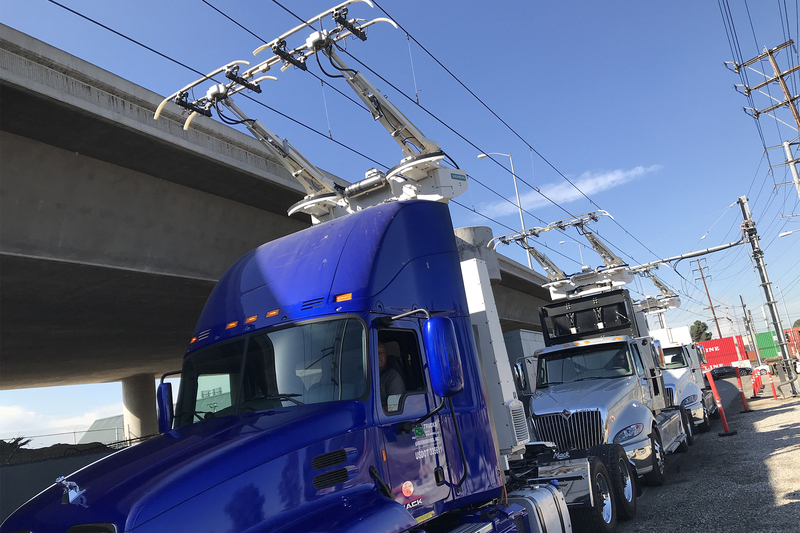 “For the next few years, trials and small-scale deployments by major fleets and manufacturers will help clarify potential cost benefits and could set in motion a significant increase in orders for electrified trucks,” said Lisa Jerram, analyst with Navigant.